A recent article featured in CNNMoney revealed that Maryland is one of many states facing a foreclosure epidemic. While many states are steadily recovering from the housing market crash, others seem to be experiencing a delayed response. According to RealtyTrac, several states that initially weathered the housing crisis experienced a sharp rise in foreclosures in July. New Jersey saw foreclosures rise 89 percent, while Oregon reported a rate of 137 percent. Maryland, however, reported a surge in foreclosures of over 275 percent. Why, when other housing markets are stabilizing, are these states suddenly suffering a double and triple percent boost in foreclosure activity? Various factors are at play here. First, in Maryland, the state government intervened to ensure all foreclosures were handled properly. This process did save homes, but it also delayed foreclosures that were unavoidable by slowing the process for the banks. The banks are essentially catching up, leading to a sudden surge in foreclosures. Another factor behind the sudden increase in foreclosures is that Maryland is a judicial state. In a judicial state, the courts must approve any and all foreclosures, which slows the process. 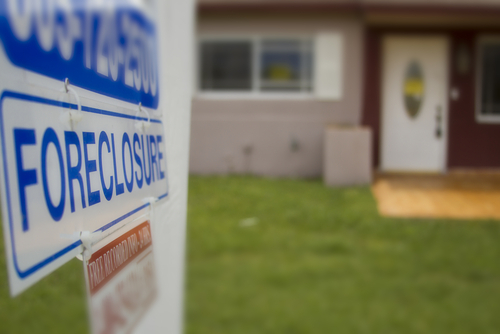 In non-judicial states, foreclosures can be approved by trustees, which speeds up the process. Right now, Maryland is processing foreclosures that otherwise would have occurred several months or even years ago. Know your state's foreclosure laws: Once you receive a Notice of the Intent to Foreclose, you need to move quickly. Not taking action will lead to definite foreclosure. Learn about your state's foreclosure laws and speak with your lender. You may be able to work out an arrangement, as foreclosures can be difficult and expensive for both the homeowner and the lender. Contact your lender before you receive a Notice of the Intent to Foreclose: If you start falling behind on your house payments, don't wait for the bank to foreclose. Instead, contact your lender and explain your situation. In some cases, you can work out an agreement before the foreclosure process starts. Find out if you qualify for a forbearance: Often, homeowners turn to bankruptcy to try and delay or halt the foreclosure process. While this may work for a brief period, you can't discharge a mortgage debt and the lender will eventually resume the process. Instead of bankruptcy, find out if you qualify for forbearance. For people experiencing a sudden financial difficulty, such as unemployment, forbearance involves reducing or suspending your monthly payments for a brief period until you can continue making payments. Our real estate professionals at Fast Home Help can provide you with the information you need when facing foreclosure. To learn more about the value of your property, request a free, no-obligation Property Privacy Audit™ today.